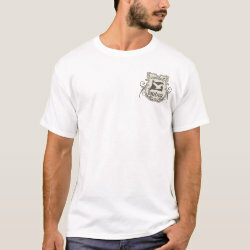 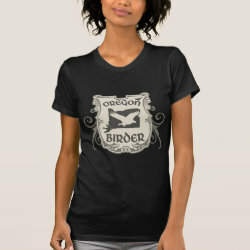 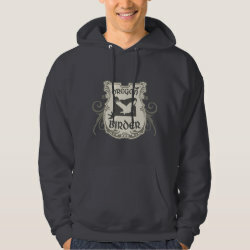 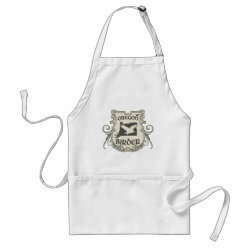 Show your Oregon Birder pride with this original shield-style design! 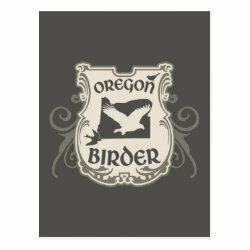 The state is shown in silhouette with three birds in flight or perched. 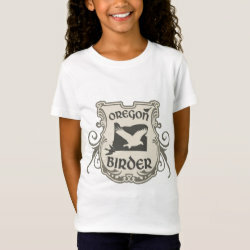 Whether you're a native Oregonian or visiting spots on the Oregon Birding Trails for the first time, this classic and stylish design is for you!